ellaslist provides families with daily inspiration, uncovering the best local events and places to go. Curated by mum's, for mum's. Click Here to view the ellaslist Summer Guide. ​Hope 103.2 has been serving Sydney for almost 40 years. The people, the music, the technology, and just about everything else keeps on changing, but the simple message and mission of Hope 103.2 hasn’t changed a bit. A song, a word, a story, a laugh, a reminder of what really matters. A positive and encouraging voice in a loud and complicated world. A place to find the hope that changes everything. Hope 103.2 brings hope to the lives of 683,000 Sydneysiders every month! We provide a unique listening experience for the Sydney community that helps people lead hopeful lives through helpful content, fun entertainment and uplifting experiences. Our perspective provides a popular, safe-listening environment for the family that is clutter free. As a beacon of hope to Sydney, Hope 103.2 is proud to be a sponsor of the Cambage Court Christmas Lights project. This magazine is all about the things I love, family, friends, learning and making connections. With the re-launch in October 2018 the magazine is full of interesting articles, features, regular sections like fitness, home and fashion. If you’re not part of this mag you are missing out on everything that Family Living has to offer. Northern Beaches Mums was launched in 2011 to cater to share information and resources about local family oriented services. It has grown to support tens of thousands of local Mums and their families who are now regularly seeking information from the website and its sister Social Media channels. From restaurants to playgrounds, from schools to shopping, from markets to sport and from childcare to health, everything available along the Northern Beaches is included on the Northern Beaches Mums website. North Shore Mums Since launching in June 2012, North Shore Mums has established itself as the premier online destination for local mums and families, where they can be connected with the best of specialised features, a handy events guide covering everything from festivals & markets to school holiday events, a local directory, a job board, plus exclusive offers and competitions! ​The Facebook group, with over 20,000 members, is a vibrant and positive place where women can ask questions, seek advice, find recommendations and share challenges, wherever they are on their parenting journey. 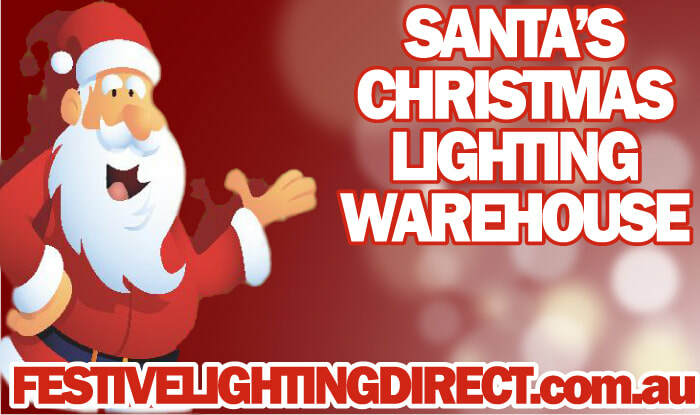 With over 14 years experience in Christmas Lighting and over 6 years in household & commercial Lighting, LED Lighting Designs are more than capable of handling all your lighting needs. Our Christmas showroom operates during November and December, and our lighting showroom features many of our products on offer, as well as our large selection of fans, chandeliers, pendants, and garden lighting. If you’re building a new home or renovating, we can service all your needs from start to finish; including top of the range alarms and cutting edge surveillance and security systems, employing the latest technologies, such as home automation. We also manufacture lighting in house using the highest quality LED strip . We now have over 500,000 products available. 1/13 Watson Road, Padstow NSW. Since 1979 HODA has built confidence through structured drama lessons that children love. Parents can be sure that the skills needed to succeed in today’s exciting but rapidly changing world; collaboration, communication, creativity: are being learnt through highly engaging activities that improve speech, movement, working in groups, idea generation and self confidence. With specialized curriculum and classes for lower primary (K-3), upper primary (4-6) and Youth (secondary), with locations in Avalon, Balgowlah (Manly Vale) Warriewood, Forestville and Freshwater (Hardbord), now is the perfect time to enroll for 2019. Enquire about our extension program for Youth, new in 2019. Become the business that your customers know and trust. At Designeri.am we have a diverse range of experience which allows us to identify obstacles within a business, leverage design-led thinking and create solid strategies to facilitate change or growth within any business. We know how to make high-quality affordable video content that people want to watch, by choice, not by chance. We produce videos for marketers who have hit a plateau and are frustrated or confused as to what the next step in their video campaigns should be. Their audience misses the point, and they know they could be reaching at least 20% more viewers. The pretty pictures and 'creative' isn't progressing their message and is just entertainment for viewers.Video Marketing Cycology(TM) is our process for delivering strategic and ’on brand’ films that attract, trigger more action and increase ‘shares’. Often this occurs within hours of going live and boosts response rates of at least 15-20%. We work with you to craft videos that are highly-targeted and use the science of storytelling and marketing communications to strike the right chords with your right audiences, whether it be a single video or part of an ongoing video campaign, regardless of budget. Best Sydney Wedding Photographer period…. Azayda Photography is an innovative company that is transforming the photography industry. Azayda is a Sydney based bespoke wedding and portrait photography business with over 15 years’ experience. Imagination and experience is what we bring to you. At Azayda, our primary objective is to provide superior quality photography. We believe whole-heartedly that every occasion, and every person, is unique. Because of this strongly-held belief, we take time to understand our clients’ vision for their day and their unique style. No matter what type of photography you are after, wedding, engagement, event, product, portraits we can do it all!We will deliver amazing photographs. In addition to capturing amazing photographs, we’re dedicated to providing incomparable service at an unparalleled value. Azayda’s distinctive team method ensures that your experience will be stress-free. We obsess over every detail so that our clients can focus on enjoying the happiest day of their lives. We will walk you through each step of the process to ensure that the entire experience – from photographer selection to album design – is effortless. At Azayda, we also believe in transparency – because there is already enough guess-work in planning an occasion or an event. Send us an email for our pricing and package information. Additionally, all of our photography packages include digital images and beautiful hand crafted albums, so that you’ll be able to share your memories. We strive to make your special day as unique as possible, with our fresh, fun and imaginative ideas your images will always be timeless. Hire A Hubby is Australia’s largest handyman business. It is our goal to provide customers from homes, offices, and factories with a complete handyman service. Please take a look around my online portfolio to see some of the work Hire A Hubby has done for clients in the past and to get some ideas of how I can help you today! Coates Hire is Australia's largest equipment hire company with over 130 years of experience in industry, supplying to a wide variety of markets including Engineering and Building Construction & Maintenance, Mining & Resources, Manufacturing, Government, and Events. Automation Security helps customers keep their homes and businesses safe, secure and efficient by using the latest in security and Smart Home technology. With a background in the Commercial and Government sectors, we deliver professional systems with personal service. Get in touch with us at http://asquared.net.au/contact/ or have a chat with Michel on 0412 512 134 to get your home or workplace secured before Christmas. We hold NSW Security Master License 000100790 and service customers in the Sydney metropolitan area as well as the Central Coast, Illawarra, Shoalhaven and Blue Mountains regions.